With his team getting thrashed by the leader of I-League, Colm Toal, chief coach, youth development, was a disappointed man. Off-course, nothing much Colm could do with this depleted squad. After putting up a spirited performance in the first half, the second string India U-19 boys succumbed to the mighty BFC. Namma-Steelmen got the better of the juniors 4-0, Robin Singh scored 3 and one by Karan Sawhney. "We got outplayed today, we played against a very good team, it is like men against boys!" Toll added, "An eye-opener for the boys the standard they need to get to if they want to play in the I-League. The team that we played in the first half was very good and you can see why they are at the top the of I-League with that performance today. A good experience for us! Colm pointed that his boys played against quality foreigners and Indian players. In his eighteen months together with this group, he has not played against a team with such a physical presence! Colm hope to play against the Goan clubs in the coming months, "We are hoping we can organize our boys to sign up for I-League clubs. 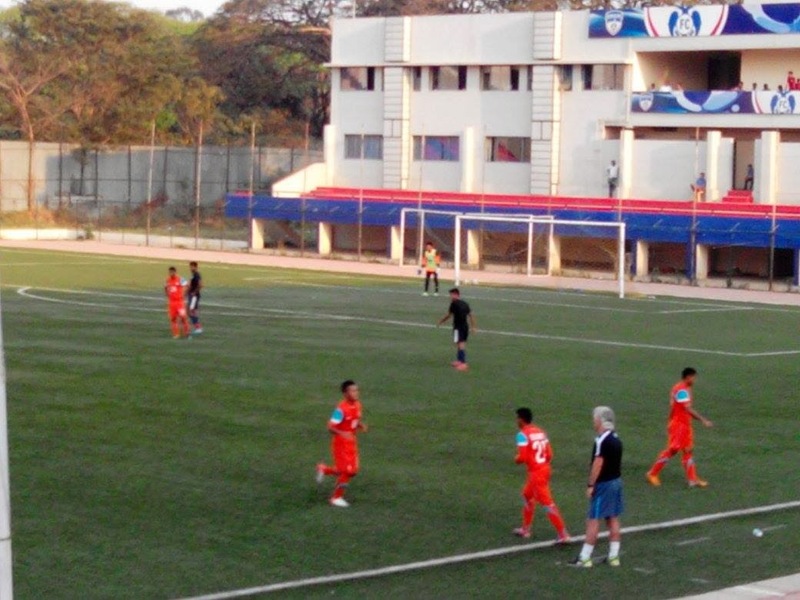 Four have signed for Shillong, but today, they saw what they need to be. Physically, technically and mentally! In his final remarks, he sounded impressed with Bengaluru FC, "They've got a good coach, good support staff and quality of players. We need more clubs in India doing what this club is doing."